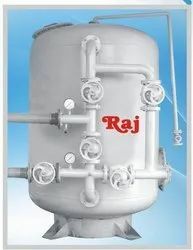 We are a leading Manufacturer of iron removal plant, sea water treatment plant, boiler water treatment plant, dm water plant, water chiller machine and boiler water plant from Rajkot, India. We manufacture, supply and export specialized Iron Removal Plant that remove the suspended and floating impurities and particles from the raw water. These plants are developed by making use of high grade components sourced from certified vendors. This array of filtration plants finds its extensive utilization in hotels, resorts and residencies for their efficiency and performance. Our organization makes available these systems at reasonable prices. 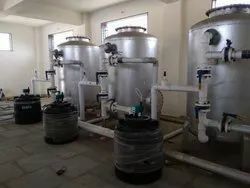 Owing to our advanced & well equipped infrastructure unit, we have emerged as a foremost manufacturer exporter, trader and supplier of a wide range of Sea water Treatment Plant. The offered treatment plant is customized in accordance to the industry needs. This treatment plant is developed in adherence to the quality standards by using quality material & advance techniques. Also, our quality controllers check this treatment plant at various quality parameters to assure a flawless dispatch. 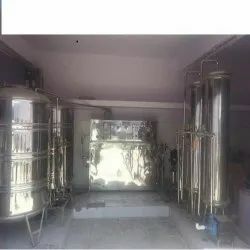 We manufacture, supply and export specialized Boiler Water Treatment Plant that remove the suspended and floating impurities and particles from the raw water. These plants are developed by making use of high grade components sourced from certified vendors. This array of filtration plants finds its extensive utilization in hotels, resorts and residencies for their efficiency and performance. Our organization makes available these systems at reasonable prices. We carved a niche for ourselves by providing Demineralization Plant that is used for doing demonized water. This demineralization plant is developed using optimum quality components and advanced methodology. Not only this, our offered demineralization plant is highly appreciated by our customers for its optimum quality & finish. Offered demineralization plant is available in the market in varied specifications. 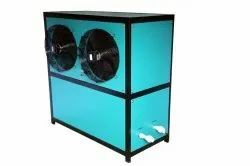 The chiller is compact, automatic and having aesthetic and elegant finish Package Chiller is mounted on heavy base made out of channel section and powder coated. Screw type Compressor, Plate Heat Exchanger and Pump are mounted on base. Water cooled Condenser & Cooling Tower are provided on side of the chiller. Control Panel Box including Switch and instruments, for all Motors and Pumps is mounted in front for ease of operation. Unit is properly cleaned internally, Nitrogen Pressure tested at 450 Psig evacuated and properly gas charged. 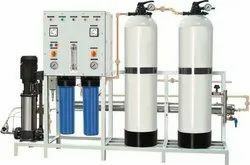 We proudly introduce ourselves as the most trusted organizations to offer a qualitative assortment of Boiler Water Plant. This treatment plant is used for water purification by eliminating harmful substances from water. We proudly introduce ourselves as the most trusted organizations to offer a qualitative assortment of Boiler Water Treatment Machine. This treatment plant is used for water purification by eliminating harmful substances from water. We carved a niche for ourselves by providing Demineralized Water System that is used for doing demonized water. This demineralization plant is developed using optimum quality components and advanced methodology. Not only this, our offered demineralization plant is highly appreciated by our customers for its optimum quality & finish. Offered demineralization plant is available in the market in varied specifications. We carved a niche for ourselves by providing Raw water Treatment Plantthat is used for doing demonized water. This demineralization plant is developed using optimum quality components and advanced methodology. Not only this, our offered demineralization plant is highly appreciated by our customers for its optimum quality & finish. Offered demineralization plant is available in the market in varied specifications. We carved a niche for ourselves by providing Sea Water Treatment Machinethat is used for doing demonized water. This demineralization plant is developed using optimum quality components and advanced methodology. Not only this, our offered demineralization plant is highly appreciated by our customers for its optimum quality & finish. Offered demineralization plant is available in the market in varied specifications. 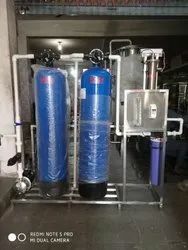 Swimming Pool Filtration Machine are high performance and quality based water filtration plants that are specifically designed to provide optimum filtration support for swimming pool water. This System Includes Re–Circulation Pump Which Works For Lifting water From Pool In to Filter And After Filtration Into The Swimming Pool Again. 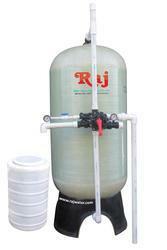 Chlorination Dosing System Dose Chlorine Into Water And Remove Bactria From Water. Flocculent Dosing System Works To Maintain Turbidity Of Water On The Floor Of The Pool. Pool Cleaning Brush Is Worked For Removing Turbidity From Water. With these filters manufactured using precision grade material in varied sizes, these deliver not only superior filtration properties but also match up to the demands of smooth performance in areas like commercial and non commercial Use. 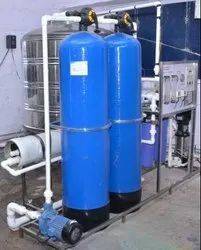 Swimming Pool Filtration Plants are high performance and quality based water filtration plants that are specifically designed to provide optimum filtration support for swimming pool water. This System Includes Re–Circulation Pump Which Works For Lifting water From Pool In to Filter And After Filtration Into The Swimming Pool Again. Chlorination Dosing System Dose Chlorine Into Water And Remove Bactria From Water. Flocculent Dosing System Works To Maintain Turbidity Of Water On The Floor Of The Pool. Pool Cleaning Brush Is Worked For Removing Turbidity From Water. With these filters manufactured using precision grade material in varied sizes, these deliver not only superior filtration properties but also match up to the demands of smooth performance in areas like commercial and non commercial Use. We carved a niche for ourselves by providing Demineralized Water Treatment Plant that is used for doing demonized water. This demineralization plant is developed using optimum quality components and advanced methodology. Not only this, our offered demineralization plant is highly appreciated by our customers for its optimum quality & finish. Offered demineralization plant is available in the market in varied specifications.